E.T. had all the elements to be a kid’s dream come true. An alien best friend who likes peanut butter flavored candy and flying bicycles? Actually, that sounds like anyone’s dream come true too! Coming across a being from another planet in your tool shed doesn’t just happen to everyone, so we had to take matters into our own hands! We’ve recreated the look from the movie, but in costume form. From the E.T. 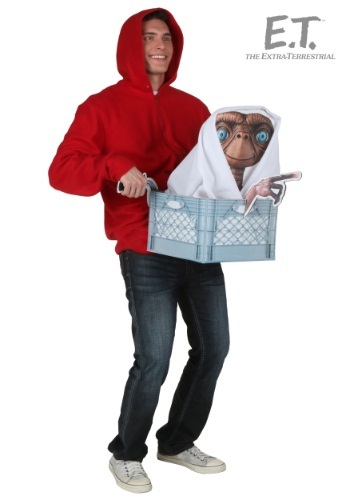 to Elliott’s hoodie, this costume comes with everything you need (aside from a spaceship) to recreate your favorite movie scenes.